But definitely a 2 person operation. It's really good looking and I like the cover. Is it comfortable? 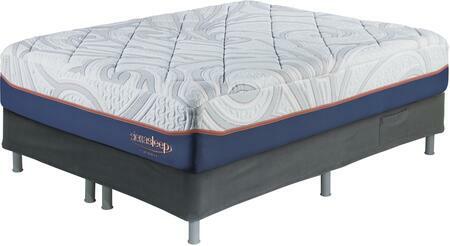 I gave it 4 stars because I weigh 155 and we bought a12" gel/memory foam hybrid with medium density. ( replacing what we had on our old box springs) I can feel the slats as I roll away from the middle. I think more slats would have made it a lot more comfortable for a larger person. It's not a matter of sturdiness. The platform feels sturdy and it's easy to move and the end caps look nice and don't damage my floor. I'm certain it can easily hold all the weight is rated for. I just think there is too much space between the horizontal slats. My best friend who weighs 135 doesn't feel the slats at all so that may give you an idea. I have a piece of cardboard currently as a stop gap- but if I had to do it over- I probably wouldn't as my weight rarely gets below 140. I would recommend this product to a skinny (l135 and less) person. I was able to put this together on my own, no problem! (My husband was out of town) I was wondering why it took someone that long to come up with this!!! So nice. 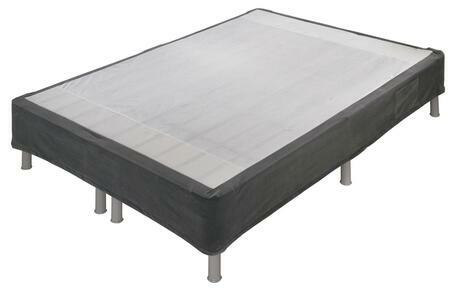 It looks better than a regular bed.I would definitely recommend. I bought it online and when it was delivered it was easy to setup and connect. The instructions were easy to understand and easy to put together.